So far this summer I’ve covered places where you can buy greasy burgers and chili dogs as well as drive-in theaters where you can sit on your duff and consume even more food. Now that the weather is totally gorgeous it’s time to get outside and enjoy the few months of sun that we can. 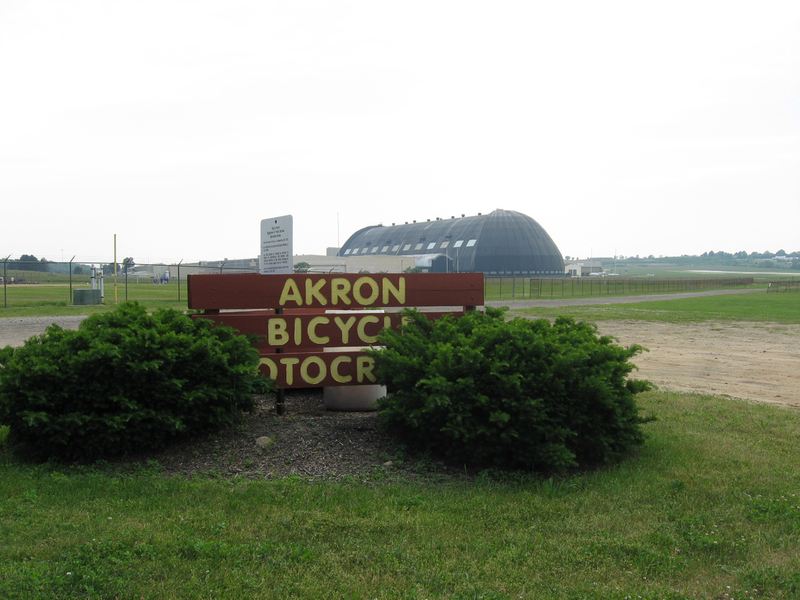 Akron BMX is a nonprofit organization that started in 1981 (according to their official site, but other sources say 1975) to give people of all ages the chance to participate in a physical family activity and to (eventually) made use of a barren piece of property near Derby Downs in the shadow of the blimp hanger. The track was designed for competitive biking events and to provide a structured spot where bicycle enthusiasts can make some sweet jumps without destroying someone else’s property. 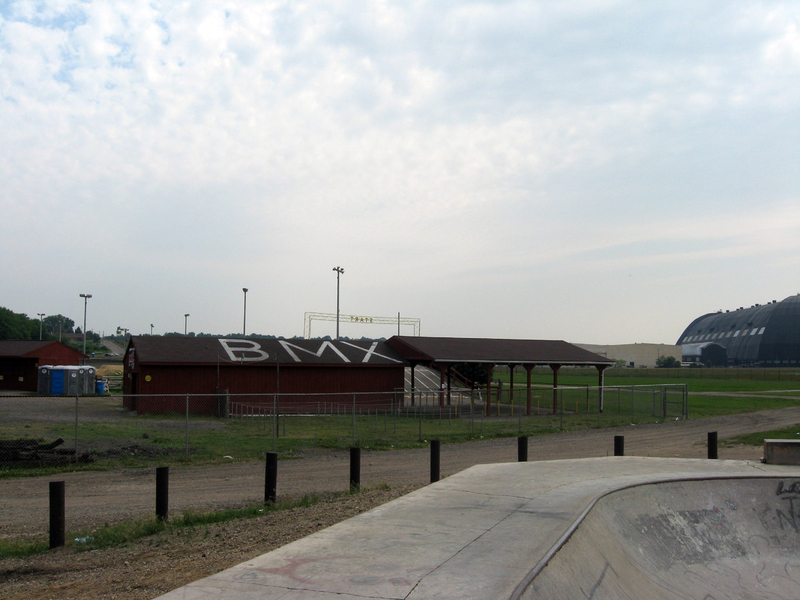 It has plenty of ramps and hills as well as stands for spectators. The track is open to the public during practice times, which are posted on their Web site, but hosts races each week from May to October. The site is also available for birthday parties and other rental events. When I visited the other day it took me back to my childhood in the ’80s when my friends and I used to ride all day and return home at night to watch the movie Rad.